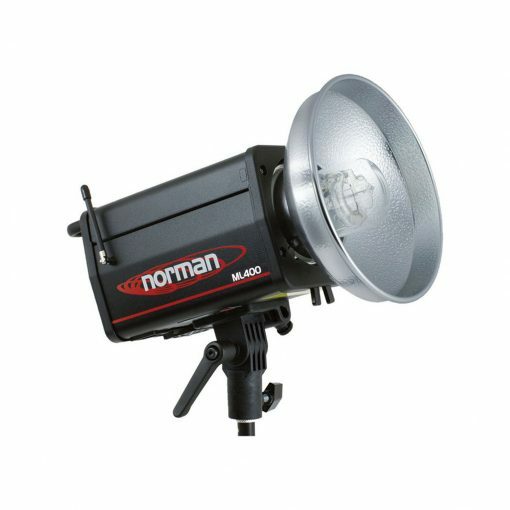 This Monolight accepts over 100 Norman accessories and light modifiers! 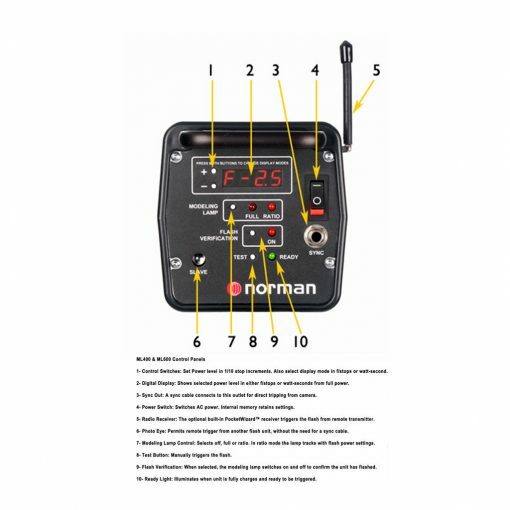 The Norman ML400R Monolight is a self-contained 400 watt/second flash unit with a built-in PocketWizard Radio receiver. The Pocket Wizard allows wireless triggering of this unit from your Pocket Wizard, Pocket Wizard Plus transmitter, or Pocket Wizard MultiMax transceiver. 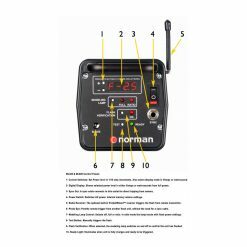 The unit accepts over 100 Norman accessories and light modifiers including softboxes, reflectors, grids, snoots and barn doors, using the included R9113 Adapter Rings. A digital readout displays accurate, repeatable settings up to 400 watt/seconds in 1/10 stop increments. It recycles in 1.5 seconds @ full power. 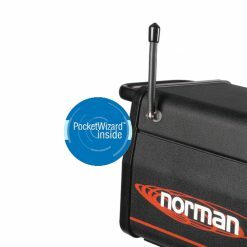 The controls on this 400 watt/second Monolight allow power adjustments in either watt/seconds or f/stops. Digital interface adjustable in 0.1 stop increments.